and more with our ultimate Boerum Hill guide. Low key and charming with beautiful homes on tree-lined streets. 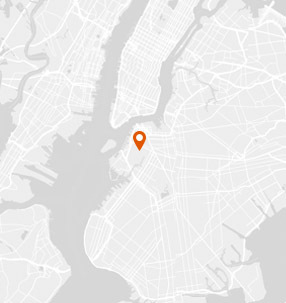 Boerum Hill has an average violent crime rate and a below average property crime rate for New York City. 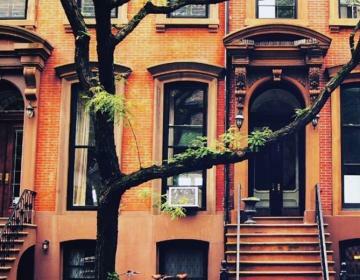 WHAT’S LIVING IN Boerum Hill LIKE? Boerum Hill is a small, charming neighborhood in Brooklyn. There is no actual hill here, despite the name: it was razed in the early part of the city's history to make way for its middle class inhabitants. The area morphed into a haven for immigrants, then descended into a seedy, crime-ridden part of town after WWII. It got cleaned up and gentrified in the 1990s and has been a perennially popular place to live since then – something that is unusual in New York's seasonal shifting of which neighborhoods are en vogue and which aren't. The area is known for its tree-lined streets with rows of Greek Revival, Italianate, and Gothic Revival brownstones, many of which were built in the 1800s. 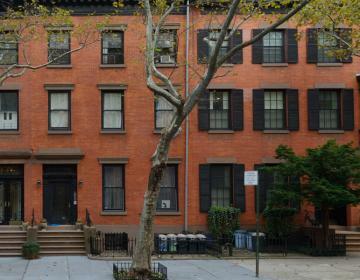 You'll also find a number of three-story brick buildings and converted carriage houses. These beautiful homes have attracted families, professionals, and celebrities alike. New development is also happening here: modern townhouses and condos are popping up throughout the neighborhood. Smith Street and Atlantic Avenue are the commercial hubs here, featuring clothing boutiques, home goods stores, salons, cafes, restaurants, and bars. You're also walking distance to the Barclays Center, which hosts concerts and sporting events, museums, parks, other cultural institutions, and Boerum Hill's adjacent neighborhoods. 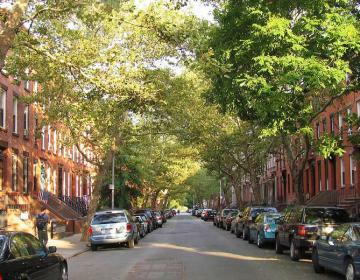 Boerum Hill is bordered on the north by Downtown Brooklyn, on the east by Fort Greene and Park Slope, on the south by Gowanus and Carroll Gardens, and on the west by Cobble Hill and Brooklyn Heights. You can't go wrong with an all-day breakfast, reuben sandwich, class hot dog, or pickles at this local deli. Great fish, unique sushi rolls, and attentive service make this sushi joint popular with locals. This Vietnamese sandwich shop makes a killer Banh Mi. Get some bubble tea to wash it down. Come check out the selection of contemporary art from an array of international artists. Doubles as a cafe and event space. Catering to the many French expats in the area (and others, too!) this French bar and bistro has a good selection of food and drinks. Traditional neapolitan pizza loved by pizza snobs everywhere (well, just in New York). Photo Credits: Thanks to @Edward Blake, @Marco, @mlekate, @ronnier_town, @lorramcgowan, @feeding_llv, @latinfoodie, @lotuspeachblog, @olyany, @andrea_nal, @johntebeau, @citibin, @redstarbk for your great photos of this neighborhood!